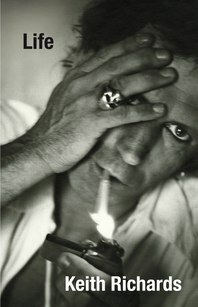 In January 2011 I read Life by Keith Richards. In April I followed that with Eric Clapton’s earlier book: Clapton: The Autobiography. It was inevitable that readers who read both will see comparisons between these two icons of rock and roll. I doubt I’m the first to do so. I’ve never been one of Eric Clapton’s ardent fans. I’ll admit to liking his album Unplugged very much, and to playing some Cream covers when I played in bars many years ago. The main reason I consumed his biography was because I stumbled across it shortly after reading Richards’s. Although I had a rock band myself in the late sixties and greatly admire the creativity and musicianship of both the Rolling Stones and Eric Clapton, I’m no longer sufficiently obsessed by rock and roll that I follow the lives of performers — with the notable exception of the Beatles. Therefore, my purpose here is to compare what I know about these two men on the basis of what they told me themselves in the pages of their books. If you want to read reviews of the books you can try the New York Times articles Stray Cat Blues by Liz Phair, about the Richards biography, and for Clapton’s book, Slowhand by Stephen King — yes that Stephen King, who is allegedly a capable amateur rock and roll guitarist himself. I’ll disclaim any inaccuracies herein that are attributable to lies, exaggerations, or misrepresentations by the authors. Are there any? In all probability, yes. Keith Richards’s tale is downright entertaining. Life is indisputably a page-turner, a thoroughly fun read, if you wear hip boots and don’t drag your feet through the vulgar parts. He made me laugh out loud often. James Fox is credited as co-author, but throughout it is the voice of Keith Richards that we hear, including his edgy sense of humor. Eric Clapton’s prose, presumably fussed over by skilled but anonymous editors, delivers straightforward, “brutally” honest, and unmodulating narrative, with far less digression and color than Keith Richards injects in his own account. Honesty is always a good thing. Brutality never is, and sometimes the blows come hard and fast. We suffer hearing about it anyhow, because Clapton relates the firsthand account of someone talented, popular, rich, and famous, someone whose life provides vicarious fulfillment of fantasies for not a few readers; but some of the details regarding Clapton’s difficulties with heroin and then alcohol become a little tiresome, even if these must be told in order to render a complete story. To begin with the obvious: Both Keith Richards and Eric Clapton are Englishmen from the same era. Richards was born on December 18, 1943, Clapton on March 30, 1945. Both were from lower-middle-class families in an overtly class-conscious nation. Neither cared much about school. Richards had legitimate parents, but an unusual relationship with them. Clapton was illegitimate, and until he was nine believed that his grandparents were his parents, his uncle was his older brother, and his mother was his aunt. Eric Clapton is an unusually good-looking chick magnet, though recent pictures suggest he’s acquired a bit of a gut; today Keith Richards is outright scary to behold, but I think he likes the impression his ugliness makes. As very young fellows both Keith Richards and Eric Clapton discovered and became enchanted by Chicago blues music. This was not a common interest among English boys. And of course, both became obsessively interested in playing the guitar in an attempt to learn to play this music themselves. Richards would sometimes even sleep with his guitar, cuddling it like a woman. But despite their similar roots, the two men became radically different guitarists. Both Richards and Clapton have been deeply dedicated to quality music-making their whole careers; but their methods have found expression in different ways. Richards has shown tenacity in his determination to keep his band together, with as few personnel changes as possible, and notwithstanding a history of feuds with Mick Jagger. 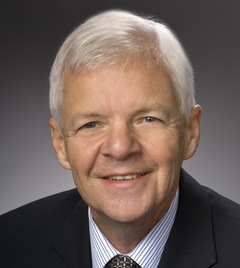 For this I sincerely commend him, because of my own longstanding belief that the best music is made not by star soloists in front of a mediocre band of hirelings, but by small ensembles of performers who grow while working together for many years. The longevity of the Rolling Stones is legendary. They formed a few years after John Lennon and Paul McCartney first met, have continued working together for forty years since the Beatles broke up, and the party is by no means over. No one will be surprised if they make yet another album and go out on tour again, when all of the core players are now old men pushing seventy years of age. While the role of Mick Jagger in this must not be underestimated, Jagger was almost the one to put an end to it. I’m convinced that it has been Richards, more than any other member, who has been the most passionate about the Rolling Stones’ music, and the primary driving force in keeping the band together, continuing to create, record, and tour. Still, it’s clear that if either Jagger or Richards were to bail out, the Rolling Stones would be over. In their earliest years the Rolling Stones were deeply interested in Chicago blues. For years their repertoire consisted almost entirely of covers of songs from that genre. But when they began recording, Richards and Jagger started writing songs together — after being locked in a room and forced to do it the first time. Their collaboration has been more productive in quantity than that of Lennon and McCartney, and the quality has not been too shabby either. They developed their own distinctive style of rock and roll built upon an inimitable lead singer; raucous backup vocal harmonies laid over a bedrock of simple, physically imposing riffs, and what Richards calls “guitar weaving;” the rock solid drumming of Charlie Watts; and the better than adequate bass playing of Bill Wyman (until he retired a few years ago). It’s been good stuff for listeners who like that kind of thing. 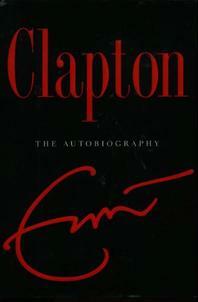 In contrast, Clapton has proclaimed himself to be an idealistic purist about his music-making, and left several bands in succession at the peak of their popularity (much of the acclaim attributable to him) when the musical environment didn’t suit him, particularly whenever it seemed to veer away from pure blues and into commercial and overtly money-making pop and rock pursuits. Heaven knows he’s made a jillion dollars despite this finickiness, and has been in demand as a guitarist, singer, and composer, both as leader and as a featured sideman, his entire career. Keith Richards does on occasion appear in contexts outside the Rolling Stones, but he does so rarely and seems not to fit in easily anywhere outside the domain he has created for his own unique talents. Clapton can do it because frankly he is a more skilled guitarist and general musician than Richards in that he can sit in with a group of similarly experienced musicians and play a million songs with little or no rehearsal. If he had not become a star, he would still be making an excellent living as a studio musician. Keith Richards is not a flashy guitar hero type of virtuoso that Clapton has allowed himself to be, and never has been. To his credit, this has been at least in part according to his personal choice, as he is more concerned with the sound of his guitar: the rawness, the uniqueness of the riffs he invents, the texture, and especially the voicings of chords that are made possible by his playing on five-string instruments using an open G tuning (G–D–G–B–D) that give songs such as the popular rock anthem Start Me Up a sound that is often imitated but never duplicated except by players who take the trouble to learn how to play in open G tuning. The reason I know about this is because Richards devotes quite a bit of space in his book to discussing musical techniques, and in doing so, also reveals much about his own dedication to the music he makes. But Clapton, other than expressing his like or dislike for certain songs, styles, and bands, and sometimes for special instruments, rarely discusses in his book the music he has played at even a simple technical level. Both Keith Richards and Eric Clapton have led lives of pitiful self-indulgence, free from much sense of obligation to follow common standards of accountability for what they do. Both were heroin addicts who took years to get off the junk. Thereafter, Clapton had a nightmarish time with alcohol, and almost killed himself with drinking, but has been sober for years. In 1997 he founded the Crossroads Centre in Antigua, a facility for the treatment of addictive disorders, including drugs and alcohol. How is it that we as a society have come to condone and even endorse aberrant behavior of people just because they are rich and famous in the world of popular music? (The same could be asked of sports and movie personalities.) It seems automatic that a part of the compensation package for success in those pursuits is a license to live irresponsibly, because stars can do it and get away with it. No one other than a series of wronged spouses is likely to hold them accountable; their popularity will barely diminish, and even increase. They’ll still be famous, usually rich, and successful in their chosen careers. Today, both Keith Richards and Eric Clapton are by their own accounts happy family men rapidly approaching geezerhood. Clapton even married a much younger woman named Melia from here in Columbus, Ohio, has four daughters, and owns a home in nearby Dublin, though I understand he still spends more time at Hurtwood Edge, his home in Surrey, which he has owned since shortly after Cream disbanded. Although their pace has slowed, both Keith Richards and Eric Clapton continue to make music. I myself am a bit older than both of them. When we were all in our youth, rock and roll and popular music was exclusively the domain of young stars, their even younger fans, and a few older and more experienced but relatively anonymous professional backup musicians. All that has changed, as now former presidents of the United States and future monarchs of England, themselves in the same age bracket as the most venerable stars, enthusiastically attend the performances of the likes of Richards and Clapton. It will no doubt be interesting to see what sorts of things these guys produce in their dotage. This entry was posted in Arts, Music, Re: Views and tagged CharlieWatts, Eric Clapton, KeithRichards, Mick Jagger, Rolling Stone. Bookmark the permalink.